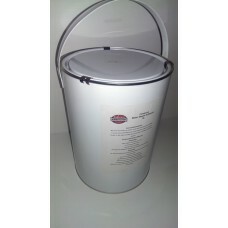 Firestone Water Based Adhesive WBA-3781 is designed for bonding Firestone EPDM to Timber surfaces. Bonding surfaces must be clean, dry, smooth, free sharp edges, loose and foreign materials, oil, grease and any other contaminents. Stir adhesive thoroughly before and during use. Use only when temperatures will not fall below freezing at anytime 24 hours after mating of EPDM. 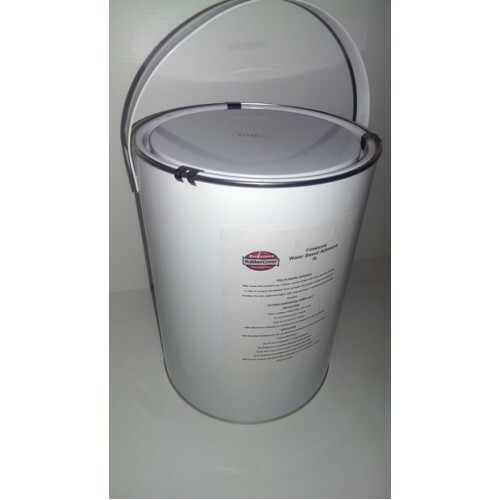 Apply WBA-3781 over plywood or OSB substrates with a solvent resistant roller, taking care to completely cover the substrate evenly to avoid globs and puddles of adhesive. The EPDM may be Wet-mated to the coated plywood or OSB by rolling the membrane in place over the substrate. To ensure proper adhesion, compress the bonded portion of the sheet to the substrate with a stiff broom or heavy roller, such as a linoleum roller. May cause mild transient eye irritation. Avoid contact with eyes, skin and clothing. In case of contact, immediately flush eyes with plenty of water for at least 15 minutes. If swallowed, get medical attention. Keep container closed when not in use. Keep out of reach of children.